The seminars for 2017 will retain the same high standards for which 'AWICS' is well known and will include some new and topical subjects. What is happening to housing association income? How do housing associations fund new development and regeneration? How are the finances of housing associations managed? Business Planning has been an important element of the management of council housing for some time. However, we are now operating in a very uncertain environment. This requires a new way of business planning including a robust approach to the development of strategy, financial forecasting, sensitivity analysis, risk management and contingency planning. What are the implications of Localism, Austerity and the Government's other reforms? What are the implications of welfare reform including Universal Credit for housing and local government? What are the implications for Supported Housing? How can Local Authorities and Housing Associations manage the implications of welfare reform? 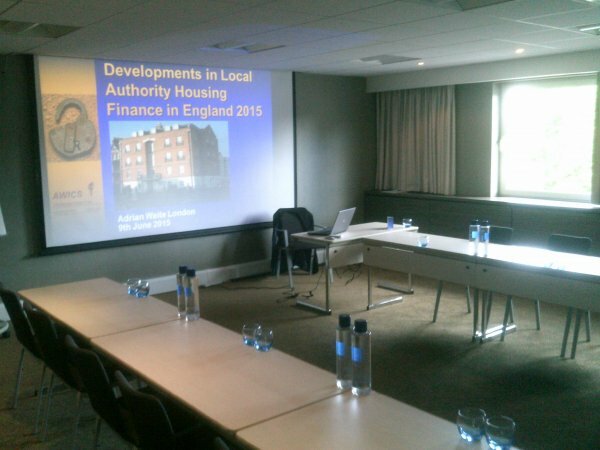 What are the implications for local authority housing finance of the new government's policies for housing and welfare? How, and to what extent, will the Housing and Planning Act be implemented? How can councils and housing associations invest in social housing?